The furniture a little retro contributes almost naturally to the creation of a pleasant atmosphere. All this makes to appreciate, every day and every evening, the pleasure of being welcomed by the courtesy of our staff, and to be pleasantly subdued by our kitchen. When the frenzy of the working day gives way to the most quiet evening and then to the night, even the soft background music wraps you up with truly unique sensations. Nothing better then to enjoy the pleasure of spending an evening of refinement and candlelight, with dinner made with crab meat noodles and sweet red cherry tomatoes, or a grill of meats and Sardinian specialties to be tasted Sipping the excellent red wine, the goblet and the full-bodied gradation. In short, an easy dinner to remember because of the goodness of the dishes, however, always elegantly served. Elegant Location, great food and unsurmountable staff make you feel pampered. I highly recommend to try the cocktails of Simon, the very good barman of the place. To try absolutely. My professional training allowed me to obtain in 2001 the qualification of Barman and in 2004 I got one of the most important awards I received for being ranked 1st in the regional competition established by the Aibes the most important association Italian in this category. 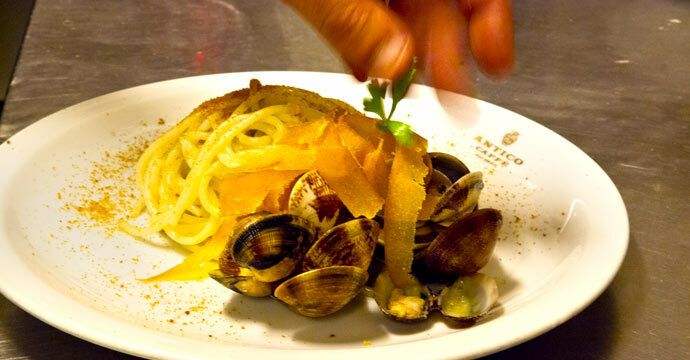 Choose to savour tasty and fast food in a unique environment and in an atmosphere as unique and original in one of the most renowned restaurants in Cagliari. It all began in 1838, when Lazzaro Canepa, who emigrated from Lavagna (near Genoa), opened a small meeting place to which he gave his name. 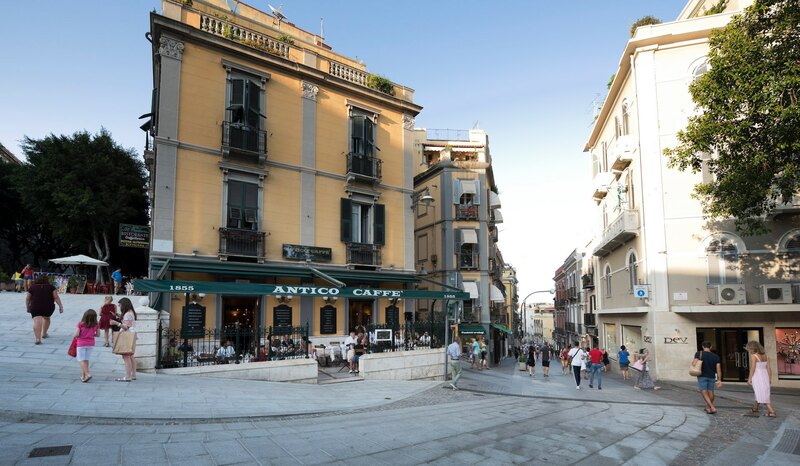 In 1855 the restaurant changed its name and appearance: It became, in fact, "Caffè Genovese", an elegant meeting place for artists and the crème of the city.